I have made many mistakes over the years, but I finally came to realize one that I could correct. For too many years, I depended on my own ability to handle things. Sometimes the thing I was dealing with was professional and at other times it was personal. I felt that if I just exerted enough time and energy, I could make it happen. Fortunately I discovered two things: first, I had limitations; second, other people were willing to help me. Both of these discoveries required humility. I had to learn that I could not do everything and also to learn how to ask for help. Think for a minute about those who are available to help you. First, there are fellow team members who can be of assistance. Others have abilities and gifts that can complement your own. Where you are not particularly talented, another person may be very gifted (and vice-versa). I have been fortunate to work with some particularly talented women and men whose gifts made us successful as a team. We were better together than apart. Second, there are professionals who can help you. Whether this person is a counselor, a coach, a consultant, or one with special expertise, he or she can come alongside and walk with you through a particularly difficult time. When I was willing to reach out to a counselor during a time of stress in my own life, I discovered the value of working with someone who was trained in helping process such concerns. Third, there are people who are ready to learn from you and take over part of the burden you carry. Pastor Andy Stanley commented, “Every church leader should be training someone to take their place.” I rarely accept any responsibility these days without finding a partner or colleague to help with the task. This assures a richer, more enjoyable, and productive experience. Jesus called us into community because he knew that we are stronger together than we are separately. It just takes longer for some of us to realize this. While introducing me to a group last fall, my friend Bo Prosser said, “Ircel has shown an ability to reinvent himself.” I felt complimented by this observation and readily embrace it. Although my vocational bent has been Christian ministry, I have had the opportunity to pursue that vocation in several ways—pastoral leader, campus minister, denominational worker, and now as a coach and educator. Some of this has been intentional but there have also been times when, in the providence of God, doors have opened that I did not expect. I say this to be very clear that there are some things that we do not orchestrate in our lives, but even so we can develop a mindset that is open to learning, inquiry, and personal growth that provides new insights and prepares us for the unexpected. Learning is a key to this idea of reinvention. In an article in the Harvard Business Review, Monique Valcour suggested some intentional steps one can take to address the question one of her clients asked, “How do I stay fresh and convince people that I still have a lot to contribute?” Here are her suggestions. First, ask for feedback. Others see things that we don’t see ourselves. If you ask for their comments, however, be prepared to listen without becoming defensive. Knowing how to receive feedback is as important as being able to ask for it. Second, experiment with new approaches or behaviors. Doing this helps a person to take on a fresh perspective. All of us are captive to “the way we have always done things.” If we can get into new environments, see how others do things, and try out some new behaviors, new understanding can emerge. Third, look for connections across seemingly unrelated areas. Developing expertise in some area totally unrelated to your primary vocation can open your eyes to possibilities within your present situation. You do not have to be a “Renaissance person” adept in many areas in order to experiment cross-fertilization. Reading outside your normal areas of interest, learning a new hobby or craft, or attending a conference with people you don’t already know can produce interesting connections. Fourth, make time for reflection. It is one thing to have varied experiences and another to actually learn from them. If you take notes, set aside some time to reflect on them and think about specific application to where you are right now in life. Debrief your experiences with a friend. This is where the real learning takes place. As Valcour notes, all of these are elements of coaching. David Peterson of Google calls coaching “the ultimate customized learning solution.” As we are involved in coaching, we are challenged to learn more about ourselves and to act on that learning. Even if you do not have a coach, however, you can practice these steps and engage in meaningful learning. Please understand that I am as resistant to change as anyone, but if we continually engage in these behaviors, learning and change becomes second nature to us. Next: How can we help others to reinvent themselves? “A great C.O.A.C.H. . . .
1. You have accepted a new responsibility that may very well exceed your present capacity. You are being stretched. Perhaps you have accepted a new pastorate, a new leadership role in your denomination, a job with a new organization, or been promoted to a new responsibility in your present setting. It’s time to step up to the plate and hit a home run, but you need a batting coach. A coach can help you understand where you are, where you want to be, and help you plan how to get from here to there. 2. You seem to be stuck or plateaued in your present setting. Nothing seems to change in your world. You no longer feel a challenge but it is not time to leave. A good coach can help you to assess your resources and strengths, develop a vision for a preferred future, make plans to get there, and get started on the journey. 3. You are ready for a change. You are doing well in your present situation, but you feel that there must be something else you should be doing. Perhaps you feel the need to grow spiritually, to become more competent in some area of work or ministry, or you want to try something new. A good coach will help you to unpack that feeling—where does it originate, what are your possible courses of action, and how do you get started on a change? A coach can help with any of these situations. A professional coach, someone who is trained and credentialed, will usually provide a free introductory session where you can get to know each other, determine if there is good rapport between the two of you, unpack your perceived need, and think about how to proceed. If the initial conversation does not work out, there is no harm, no foul. In this initial conversation, the coach will talk about the expense involved. Don’t be frightened away from coaching by the financial requirement. Most coaches have a set fee but they are willing to work with you to make their services affordable. My granddad used to say, “You get what you pay for.” Quality coaching will cost something, but satisfied clients attest to the fact that it is worth the investment. If you want to know more about coaching, please contact me. First session is free! Of course, all knowledge is not of equal value. There are some things that we can live without knowing but there is other information that can be invaluable to us. How do we do about acquiring it? As you begin a new year, how will you go about acquiring the knowledge that will make you a better minister, leader, or person? I am not talking just about emerging knowledge, but information that has been available for years but that you may not have accessed. Most of us realize that in order to be effective in whatever we undertake, we must be lifelong learners. What’s your plan? Let me suggest several things you might consider. First, what are you reading? Whether your preference is a paper book or an e-reader, what’s on your list of books for the year? You may choose to read for personal improvement, vocational competence, or enjoyment. If you have an interest in a particular area but don’t know where to begin, ask a friend with a background in that area what he or she is reading. I am sure that a former teacher or professor would be glad to share a list of both classic and contemporary offerings with you. 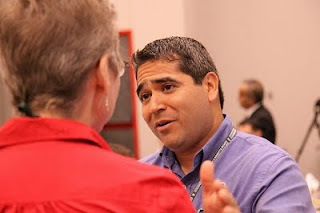 Second, what conferences are scheduled this year that might not only broaden your knowledge but your network as well? 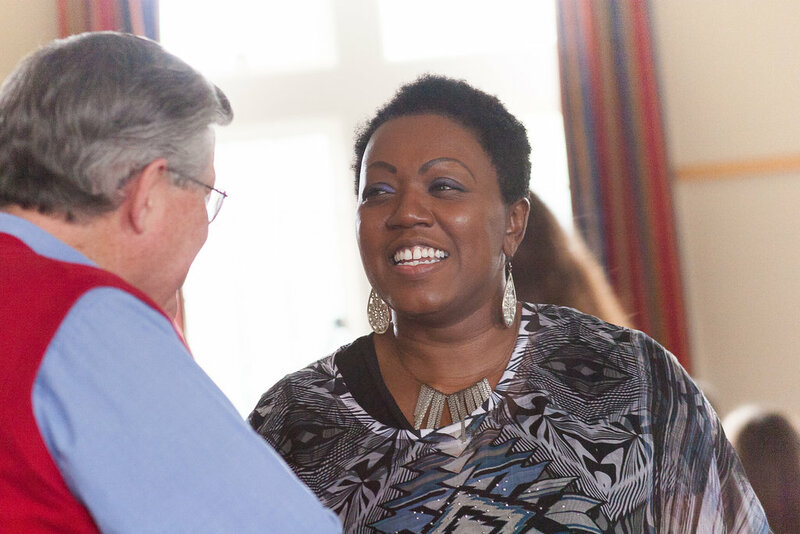 Denominations, parachurch groups, educational institutions, and not-for-profit organizations offer both national and regional meetings throughout the year. Some of these can be expensive, so you have to be selective. Seminaries and local universities may have one day or evening events that require little or no travel and offer quality information and speakers. Don’t be afraid to get outside of your “bubble” and interact with a new group of people. Third, have you checked out online learning? Several sites offer MOOCs (Massive Open Online Courses) that are free. Classes are usually a few weeks in duration and developed by outstanding educators at well-know universities. If you want to get a certificate (and additional motivation to complete the course), you can pay a small fee for that privilege. I have dabbled in several of these courses, but I actually received a certificate for a course from Coursera this fall. You might take a look at their listing. Four, are you part of a peer group or learning community? 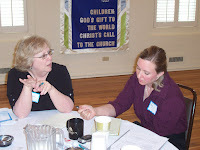 Many denominations have instituted formal peer group programs, seeking to bring together ministers in a geographical area for discussion and support. Some of these are lectionary groups to help improve the members’ preaching, others are oriented around personal growth or congregation health, and some are just an opportunity to vent with the guidance of trained facilitator. Interdenominational groups can be especially interesting. Check with your denomination or a local pastoral counseling center to see what’s available in your area. If there is nothing local, contact me about a virtual peer group. Five, have you considered “going back to school” and pursuing a degree? Actually, online and distance learning programs offered by seminaries don’t necessarily require you to go anywhere. If you want to really broaden your experience, you might consider pursuing a degree or certificate from a local college or university. One minister I know completed a certificate program in electrical contracting so that he could use his time with Habitat for Humanity more effectively. Another chose to enter a Master of Arts in Marriage and Family Therapy to enhance her counseling skills and provide an additional income stream. If you have been in ministry for awhile, you might also consider a Doctor of Ministry program that will refresh and renew your abilities for parish or denominational work. Whatever your choice, consider how you can “sharpen your ax” this year for both personal and professional growth. The options are limitless. This is a movie about a committed, gifted physician who takes a stand against a powerful bureaucracy. 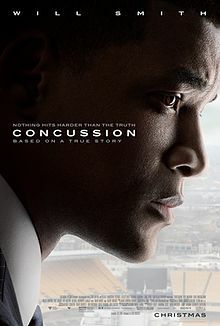 No, Concussion is not about Dr. Ben Carson but Dr. Bennet Omalu (Will Smith), the gifted forensic pathologist who fought against efforts by the National Football League to suppress his research on the brain damage suffered by professional football players. On many levels, this is a story about faith. Omalu is a man of faith but he is also a man of science. He clearly sees no conflict between the two and when he finds truth in science, he must share it with a religious fervor. In doing so, he takes on a uniquely American expression of faith—football. As one character points out, Omalu is attacking an industry (not just a sport) that “owns a day of the week, one that used to belong to the church.” Another character describes football as a “blessing,” “salvation,” and “the beating heart of the city.” Strong words for a secular entity that is essentially a business but has all the trappings of a spiritual movement. experienced a traumatic injury in a high school football game in our county this year. The son of a Christian minister, his recovery is still in the balance. Would I want my grandsons to play the game? No. Can one love the sport and fear its consequences at the same time? In the film, Dr. Julian Bailes (Alec Baldwin), a former team doctor, expresses this dichotomy. A good old boy from Louisiana, he loves the game but he feels the guilt of what it is doing to the players. He becomes an unlikely ally for Omalu. David Morris delivers a stunning performance as Mike Webster, a former player for the Pittsburgh Steelers and the Kansas City Chiefs. He personalizes the tragedy of a man suffering the consequences of being the best at what he does and taking the risks that involves. His death starts Omalu on his search for truth. Omalu excels in his own way as both a man of faith and a man of science, but he also exhibits a certain self righteousness when he thinks he is the only one who can communicate the truth. This leads to a dramatic confrontation with Bailes, who has worked with him to make his research public. When Omalu finally addresses the NFL Players Association, he has toned down his zeal and expresses his concerns with an attitude of humility and an attempt to understand what some see as good in the game. Smith is excellent in his portrayal of Omalu. Despite his action hero personae, he is one of the best actors in film today. Concussion will contribute to the ongoing debate about the danger of debilitating injuries connected with sports, especially football. Although the NFL reports that as many as 28 percent of former players may experience some type of cognitive dysfunction, has worked out a financial settlement with the players association, and has taken steps this season to be more cautious about returning possibly concussed players to a game, the organization still seems to be in denial about the dangers involved. The final scenes of Omalu watching a high school football practice in his hometown force us to consider how difficult it will be to change a particular sporting culture. Concussion shows us that a person of faith can still speak truth to power and find allies along the way, but simply being correct does not assure change or resolution. The Old Testaments prophets are a testimony to the difficulty of pursuing such a path.